Chrome & Hot Rod Accessories. 55-57 Chevy Rubber & Seals. 55-57 Chevy Manuals & Decals. 64-72 Chevelle Rubber & Seals. 64-75 Chevelle & El Co Manuals. 64-72 El Camino Exterior Parts. 64-72 El Camino Interior Parts. 64-72 El Camino Rubber & Seals. 58-64 Impala Rubber & Seals. 58-70 Impala Manuals & Decals. 65-75 Impala Rubber & Seals. 62-75 Nova Rubber & Seals. 62-75 Nova Manual & Decals. 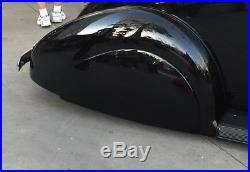 30's 40's Chevrolet Ford Dodge Packard Olds Buick Teardrop Metal Fender Skirts. 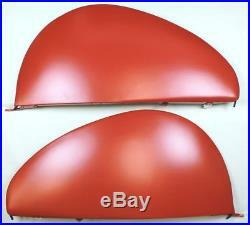 This is a new pair of 30's 40's teardrop shaped metal fender skirts. The are stamped steel and include the rubber seals. These skirts mount to the outside of the rear fender and the teardrop shape visually make the car look longer and lower. All mounting hardware and rubber seals and included. These fit a huge variety of cars. The list below and the compatibility chart is just a small example of which models these fit. Message me if you want to double check fitment on your exact make and model. 1936 1937 1938 1939 1940 Buick. 1937 1938 1939 1940 Cadillac. 1936 1937 1938 1939 1940 1941 1942 1946 1947 1948 Chevrolet. 1937 1938 1939 1940 Desoto. 1937 1938 1939 1940 Dodge. 1937 1938 1939 1940 1941 1942 1946 1947 Oldsmobile. 1939 1940 1941 1942 1945 1946 1947 Packard. 1937 1938 1939 1940 1941 Pontiac. 1937 1938 1939 1940 Plymouth. We took care in packing the item to get it to you safely and we would like you to do the same when sending something back. If you have any issue with a product that we sell and you would like to speak to a representative, please don't hesitate to call. Most issues can be solved in a matter of minutes and there is no reason to be upset. We will do our best to resolve any problem quickly and move on. Life is too short to get upset over an automobile hobby that is supposed to be fun! We are here to help. Orders are processed Monday-Friday except major holidays. This is our standard policy and we do this every morning. We just do it,'cause it is the right thing to do. This policy applies to all domestic and international buyers. Our contact info is on the invoice and business card that was in the packaging. We may require a photo of the damage item and/or packaging. If returning or exchanging products, all merchandise must be in NEW condition with the original packaging, materials, and instructions. We can discuss what is the best solution to make sure you are 100% satisfied depending on the item, location and time frame. To process a return: You will need access to a printer. To the right of the item there will be a drop down menu with a "return this item" option. Follow the onscreen steps to print a return label. We took pride in making sure the product gets to you undamaged and we expect you to do the same. Powered by Solid Commerce The All-in-One Listing, Inventory & Order Management Solution. The item "30's 40's Chevrolet Ford Dodge Packard Olds Buick Teardrop Metal Fender Skirts" is in sale since Saturday, February 24, 2018. 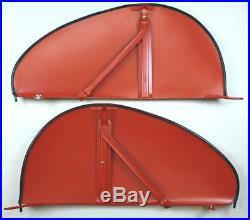 This item is in the category "eBay Motors\Parts & Accessories\Vintage Car & Truck Parts\Exterior\Fenders". The seller is "i5classicchevy" and is located in Valencia, California. This item can be shipped to United States.